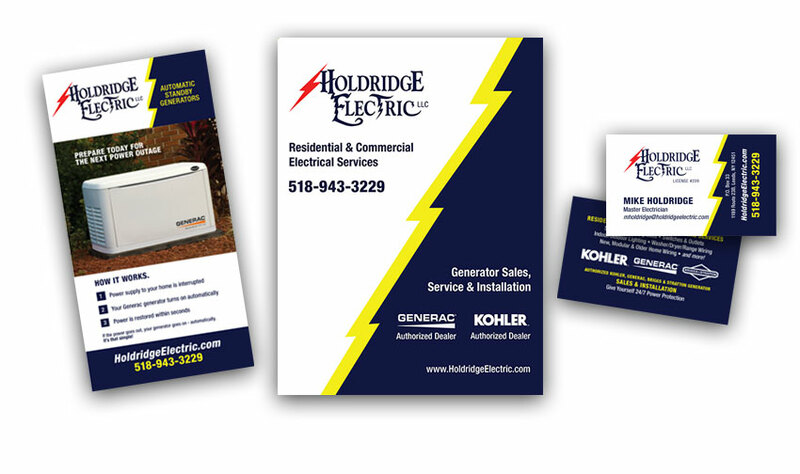 Holdridge Electric was introduced to KathodeRay through the Greene County Chamber of Commerce. After attending several marketing seminars given by Kathleen, their founder Mike brought us in to better promote their general services and increase their standby generator sales. KathodeRay took over their marketing in 2012, reaching prospective customers by augmenting traditional media (including placemats and print ads) with improved organic search results and social media campaigns. 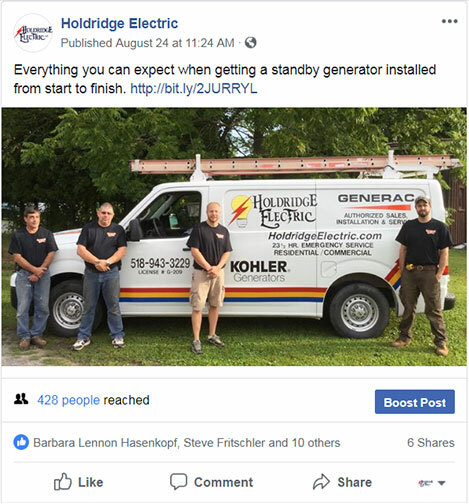 With this well-optimized website targeted leads are generated for Holdridge Electric. Providing a steam stream of customers. Shared organic Facebook Posts reach new prospects easily and quickly. Print is a very effective way to distribute information to your customers and prospects such as folders, brochures and business cards.